Sony has announced the launch of its new Cyber-shot DSC-W300 digital camera, boasting an ultra-high 13.6 megapixel CCD image sensor and an “extra high-speed” burst mode that able to shoot 3 megapixel photos at five frames per second, aiming to enhance your photography experience. According to the company, the all-new Sony Cyber-shot W300 is expected to be among the industry’s most pocket-able, high- resolution point-and-shoot digital cameras featuring niche performance options. 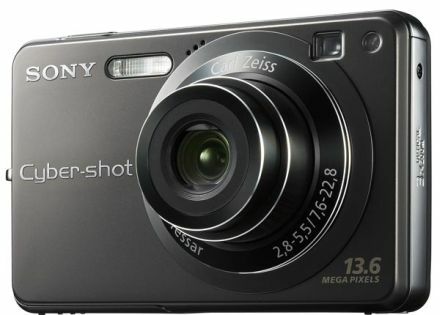 The newest Sony Cyber-shot DSC-W300 compact digital cameras that come with an ultra-hard titanium coating will hit the market by May 2008 for a suggested retail price of $349.